It is your responsibility to ensure you have back-up of all the data on your machine you bring it to us or before engineer's onsite visit. We cannot be held responsible for loss of data. If Hard Drive re-formatted/replaced after system crash or windows re-installation, you need to give us all software you have purchased to install it to your computer. Any Customer information (such as name, contact number, address or email address) that Oxon IT Support hold will not be sold or passed on to any 3rd party companies or anyone that does not work for Oxon IT Support without prior agreement from the customer. We reserve the right to pass details (including address and details of all types of communications) on to our agents where there is an outstanding balance or any other dispute arises. If any machine not possible to repair in-house then we use dedicated third party component level repair services. Any estimates/quotes are valid for 5 days only from estimate/quote date. If we able to fix computer while looking at it, minimum computer repair cost applies, if you do not wish this to happen then please let member of staff know. We strongly recommend when sending your computer to us by courier you enable a password on the operating system and only disclose this password by phone, email or text. 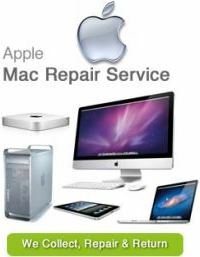 We will complete your repair and if for added security we can change your password upon sending back your computer via courier, if requested. The new password will be sent separately from the computer. Oxon IT Support cannot be liable for any loss of earning, loss of any financial or non-financial gain or loss of any revenue while any work (including guarantee work) is being carried out. If you do not collect your machine within 30 days of being informed about its readiness, it will be put into storage where you will be charged a storage fee of £2 per day. If machine is not collected within a further month, the machine will have to be sold to cover the cost of the job.